Escape the bustle of the city and discover pristine desert landscapes on this rugged sunset safari. Head across rolling red dunes to a remote, Bedouin-style camp, filled with on-site activities and amenities. 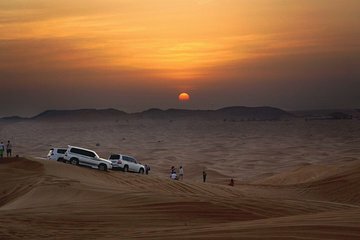 Enjoy a high-speed dune bashing session, hop on the back of a camel, and watch the sun disappear over golden sands.